So for some reason, yesterday's team line-ups made me play 5 Black games in a row (Jaren had 5 Whites, while Delvin also had 5 Blacks!). But it was the last game that was most memorable for me: Not only was it the first time I had beaten a Rafflesian in a tournament, it was also (very likely) the last game I would ever play for this school. The game was mostly equal throughout; it was only a tactical blunder made by my opponent that allowed me to score the full point. White could try 13. Qa4 Nxc3 14. Rxc3 Rxc3 15. Bxc3 Qb8 16. Rc1 taking control of the file. 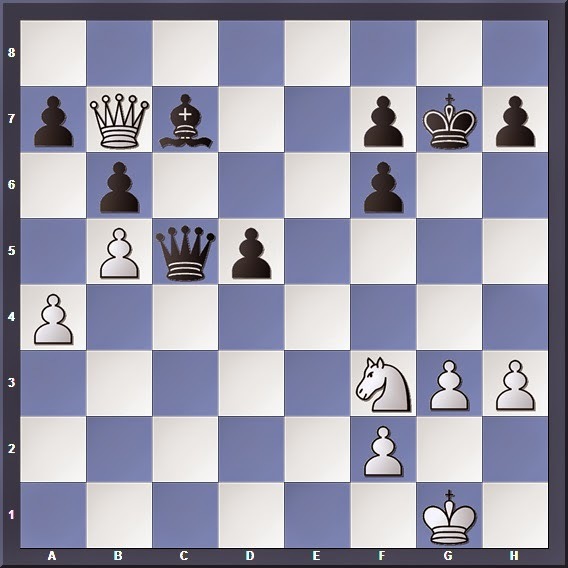 Would I have been able to exploit White's isolated d-pawn? 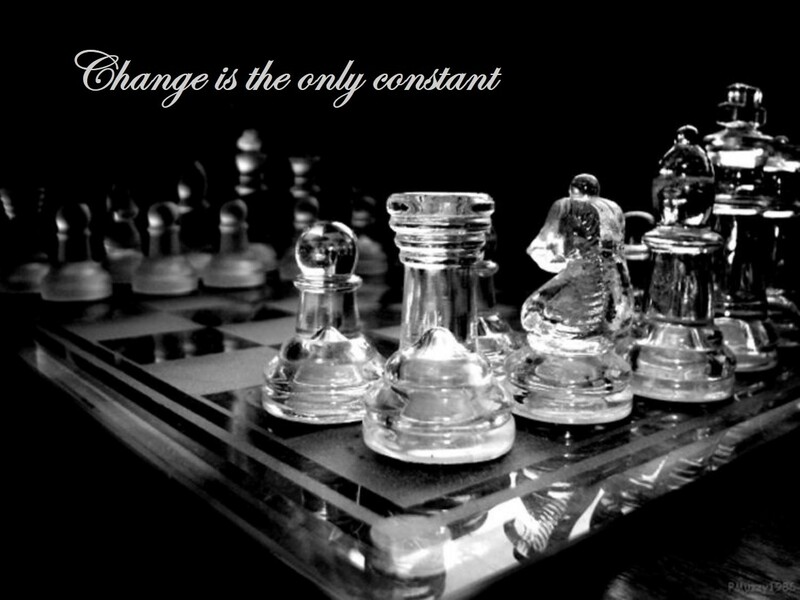 Possible but not easy: White's pieces are clearly more active, and he has seized control of the open file. After 25. 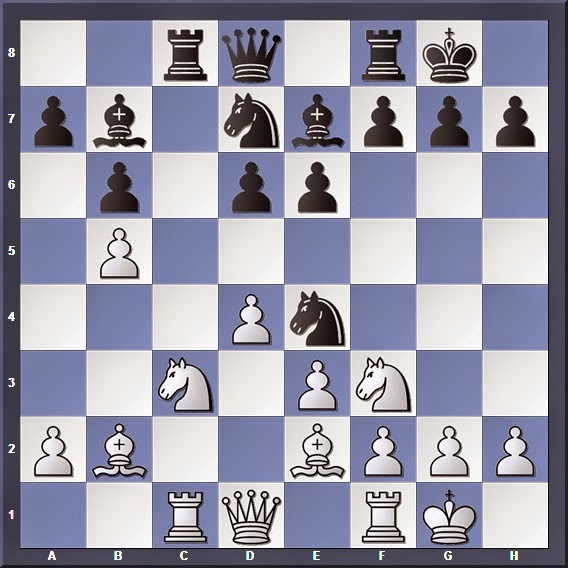 Bc1 h6 my opponent can bring his bishop back into the game. While I would say it is still playable for Black if he manages to simplify the position, I certainly won't want to play as Black over here. After 22... e5 White can play 23. Ne1, eyeing the outpost on c6 (Nc2-Nb4-Nc6) where he can exert lots of pressure on Black's queenside. Occupation of the c-file has paid off with an outpost for Her Majesty. 25... Qd1+ looks more active, but after 26. Kh2 Nd5 27. Qe4 g6 28. Qc4 Bf8 (28... Bxg5?? Qc8+ with mate on next move!) 29. Bd4 Black is in danger of losing a piece and getting mated at the same time. This is the blunder that cost White the game; by removing the pin on the Black Queen, it allowed me to unearth a tactical blow. 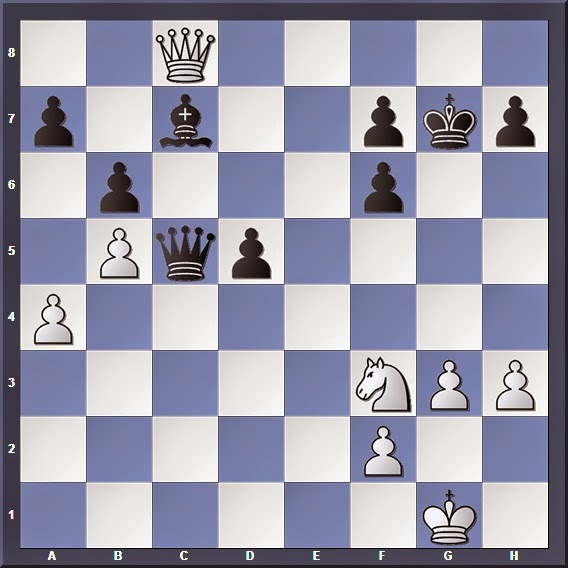 The best move for White here would have been 31. Nh4 d4 (Not 31... Bxg3? 32. 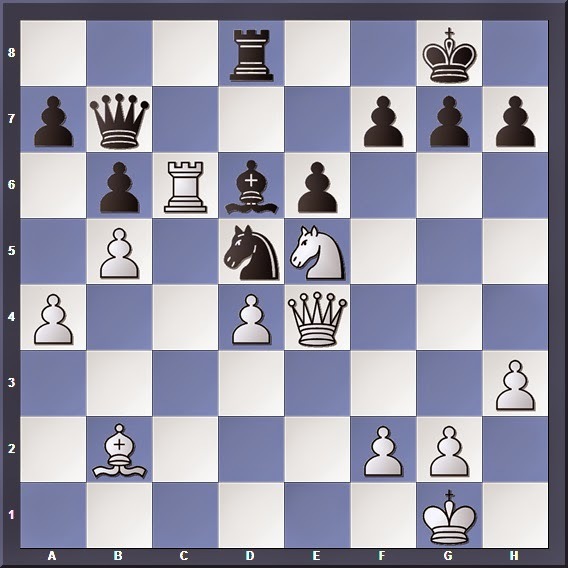 Nf5+ losing a piece) 32. Nf5+ Kg6. Here I am a pawn up with a passer on the e-file, but the exposed position on my kingside with a pair of isolated doubled pawns negates that advantage. After 33. Nxd4 Qxd4 34. 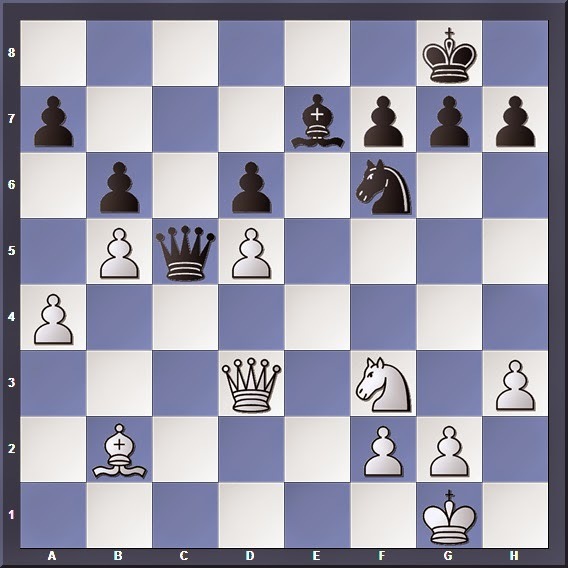 Qg8+ I would have to accept a draw by repetition. 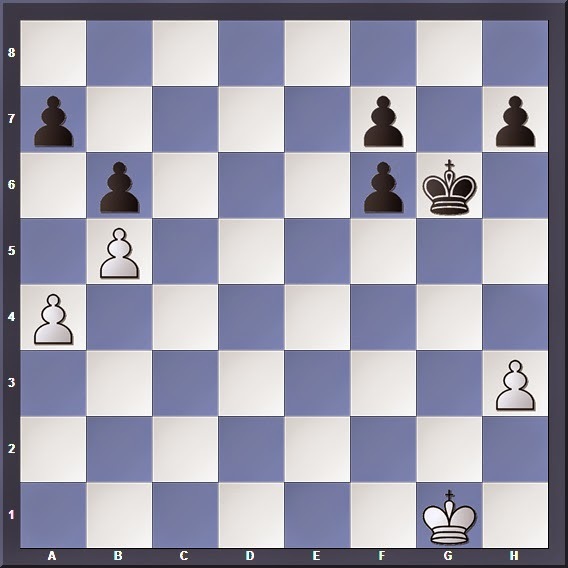 Exploiting a simple pin on the f-pawn opens up an attack on White's king. The only defence against immediate mate. And with my two extra pawns it did not take me long to convert my advantage into a win. And thus, after 6 years of fighting under the banner of NUS High, I got to end my high school chess career on a high note. Sayonara, my fellow Black Knights!